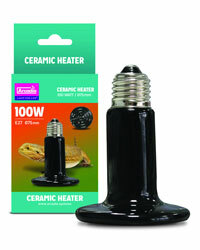 The new Arcadia Ceramic Heaters are ideal for heating a vivarium during the day and evening. Available in 50w, 100w and 150w. We recommend that a Pulse Thermostat is used in conjunction with the Arcadia Ceramic Heaters.